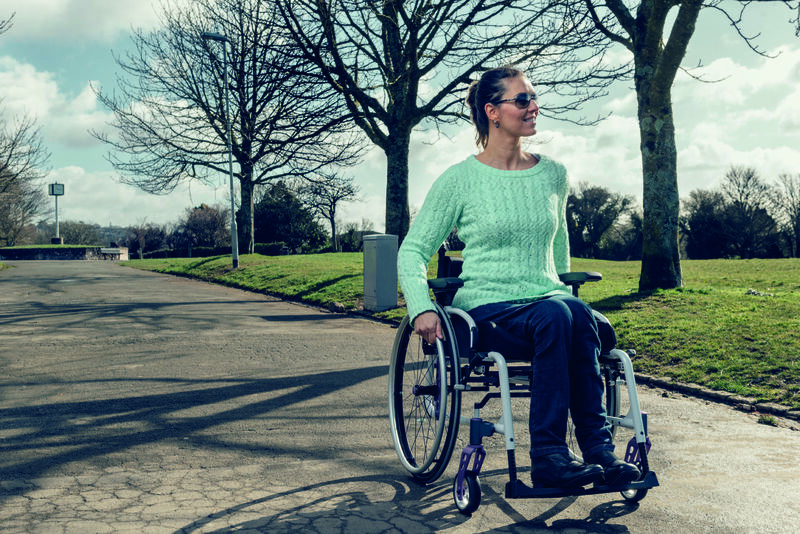 Propelling your manual wheelchair takes a lot of strength and effort. Besides that, when the design of your chair is not optimized for you, it can cause you to overuse certain muscles and joints, which will lead to pain and difficulty later on. One thing every manual wheelchair user should be looking for in a chair is excellent rollability. That means you can cause your chair to roll smoothly, with minimal effort. There are three things to consider when deciding if a chair will have the smoothest roll possible for you. 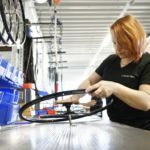 The materials and design of a frame have one of the biggest impacts on roll. Today’s chairs can be made with advanced materials that are both lightweight and strong. Compromising on materials will affect the smoothness of your ride and the chair’s overall durability. The tubing size and shape will also have an effect on the stiffness of the frame. After choosing the lightest frame available to you, carefully consider the design components. Are there extra pieces that are not necessary? If so, you may want to remove them. Your wheels play a large part in how smoothly you roll. The size and weight of the wheels should be considered. 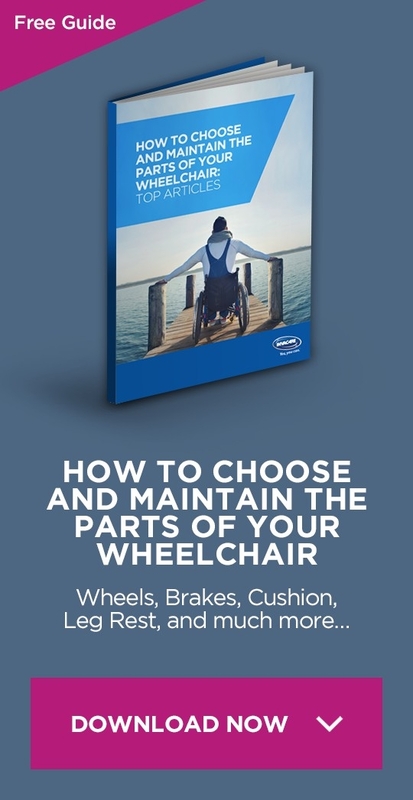 There are different types of wheels, and your therapist or equipment representative can help you figure out which one best fits your lifestyle. You will also want to discuss your caster wheels. Front stability is increased by smaller, wider casters. The caster fork also affects stability and can be optimized to absorb shock and reduce drag. While adjusting the casters and rear wheels, you should check to make sure there is no toe-in or toe-out. These terms refer to when a set of wheels point in toward each other or away from each other. Ideally, wheels in a set should point straight ahead. When there is too much toe-in or toe-out, the tires scrub and wear out more quickly. It also causes power loss with each push. 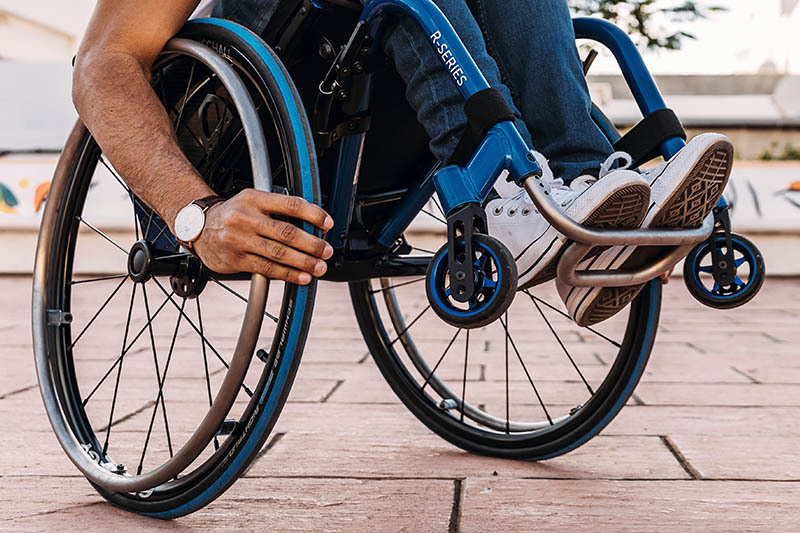 The factors that most affect the smoothness and rollability of your chair are frame design, type of wheels, and wheel alignment. 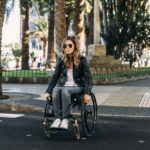 Some of the changes can be made immediately, such as making sure your wheels do not have toe-in or toe-out or eliminating unnecessary components on your chair that are increasing weight. Other changes may require you to change your type of chair, such as improving the material type and frame design. These changes may come in the future, but you can start working toward them now, as you discuss your options with your therapist and equipment representatives.